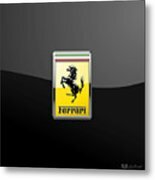 There are no comments for Ferrari 3d Badge- Hood Ornament On Black. Click here to post the first comment. Introducing �Auto Badges� collection by Serge Averbukh, showcasing amazingly crafted images of automotive heraldry. Here you will find framed and wrapped/stretched canvas fine art prints, featuring Ferrari 3D Badge on Black. Ferrari S.p.A. is an Italian sports car manufacturer based in Maranello, Italy. 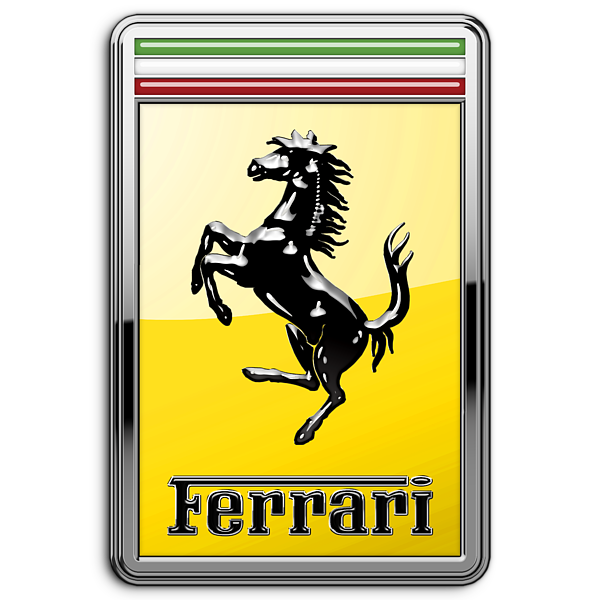 Founded by Enzo Ferrari in 1929, as Scuderia Ferrari, the company sponsored drivers and manufactured race cars before moving into production of street-legal vehicles as Ferrari S.p.A. in 1947. 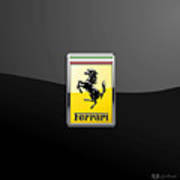 Fiat S.p.A. acquired 50% of Ferrari in 1969 and expanded its stake to 85% in 2008, which it still holds today. 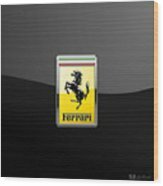 Throughout its history, the company has been noted for its continued participation in racing, especially in Formula One, where it has had great success. Ferrari road cars are generally seen as a symbol of speed, luxury and wealth.